In case you haven’t heard, some big things are coming up for Magic later this month, particularly for Modern. We don’t know just yet what the news is, but Wizards seems to think we’ll consider it a big deal. You can see them teasing the announcement on Weekly MTG in the clip below (the complete video can be found on Twitch. Contrary to what many people may think owing to decreased coverage of paper Magic, the game is still growing and will continue to flourish thanks to Magic Arena attracting many new players to the game. 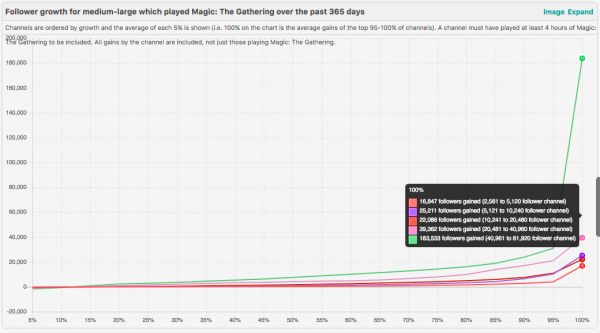 As some of you might think the same, I predict paper Magic player numbers will dip a little bit this year as more people shift over to Magic Arena. Then we could see a jump in paper player numbers next year as old players that have shifted over to Magic Arena come back to play some paper Magic. 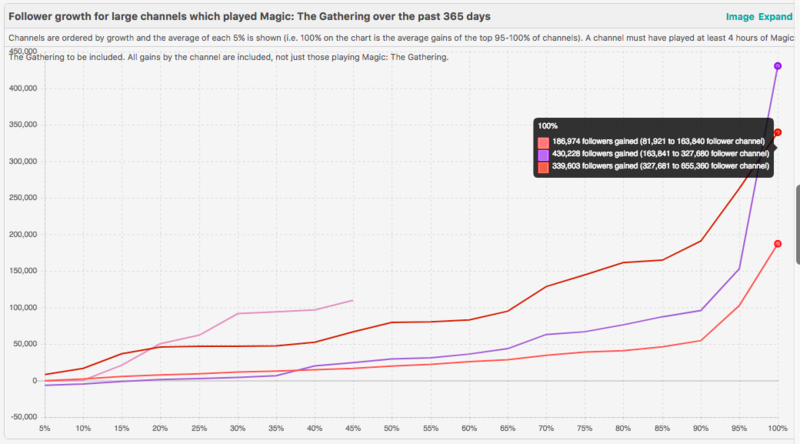 But the big increase will come from the players who started playing Magic through Magic Arena. A certain percentage of these players will shift over to playing in paper. Why do I mention these two things one right after another? Well… first, I think there’s a very short window right now to get rid of some cards that will probably be reprinted at the end of this month. Without further ado, let’s look at my Folds for this week. It’s been almost two years since fetchlands were last reprinted, and Wizards has said there won’t be another Masters set in the near future. The announcement later this month could contain a supplemental set that provides an outlet for Wizards to reprint them since they’re badly in need of it. Look at the price of Scalding Tarn. It’s creeping up towards $100 again. That’s scary. There’s only one printing of these and they’re over eight years old. I talked about this in article #1. Eventually, these will definitely get reprinted and tank in value. Get out now and buy back in later after the reprint. This is a card I’ve talked about more recently. I mentioned this in article #30. As I’ve stated before, Phyrexian-mana cards are harder to reprint. But the last reprint of this card was over three years ago and has skyrocketed in price recently, making it a great target for a supplemental set at the end of this month. So how does tie into the mention of Magic Arena earlier? Well, as I explained, there will most likely be a dip in paper Magic this year as people focus on Magic Arena. And then next year is when we could possibly see an increase in paper Magic again. With what seems like an inevitable reprint of some cards on the horizon, it’ll probably be a good time for people to buy cards on the cheap before things start to spike again next year. So what should you buy now? 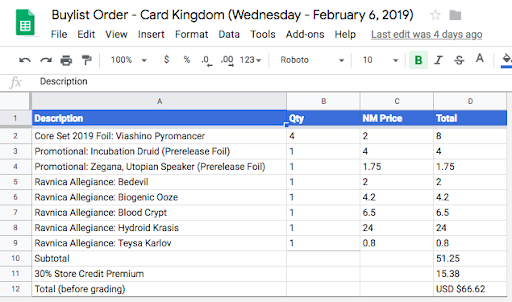 Well, I recently sent another buylist order to Card Kingdom. One of the cards that I’ve had my eye on is Judith, the Scourge Diva, particularly Prerelease foils. It shows up quite a bit in Standard and often as a four-of. 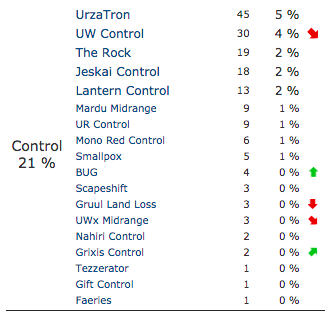 But it’s also starting to make some small waves in Modern. I don’t know if it’s good enough for Legacy since it’s not blue and costs three mana. But increased play in Modern could make this a decent card to pick up and hold for a little while. I talked about Flamekin Harbinger in article #12. I think the ship has sailed on that one already, since some of the cheapest ones I can find now are $6 on Miniature Market. I also talked about Collected Company in article #21. I would be more careful about this card now with the upcoming Modern announcement later this month, which could showcase a reprinting of this card. 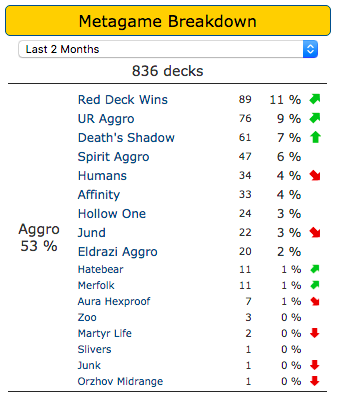 Also, Spirits in Modern hasn’t been as dominant lately compared to the past few months. I just picked up a playset of foil Falkenrath Aristocrats for $2.75 each from Miniature Market. TCGplayer has just a couple of foil playsets for $5-6 each, but I think that’s too expensive since it doesn’t really see play anywhere else yet. 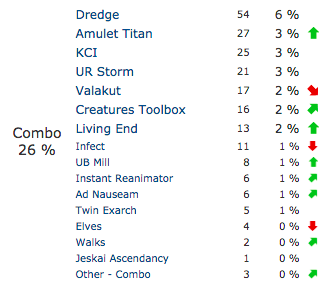 I also think this deck should probably run at least three Aether Vials instead of some combination of Path to Exile and Lightning Bolts. It should probably also play some number of Rix Maadi Revelers since you can reliably cast it for its spectacle cost with this deck’s manabase. And it has synergy with Bloodsoaked Champion and Falkenrath Aristocrat. I mentioned Judith in the Ravnica Allegiance spoilers page. According to Frank Karsten’s mana guide, I didn’t think the current Humans manabase would be able to reliably cast it. But it looks like Austin Noll has had some minor success with Judith in Humans. If you don’t need it and you can dump at a profit, it might be a good time to do so.